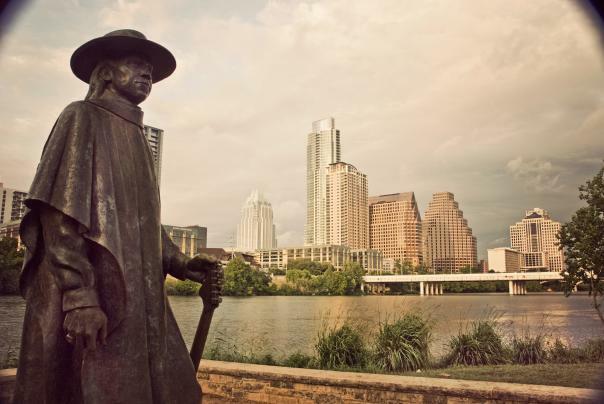 Stevie Ray Vaughan memorial, located on the Lady Bird Lake Hike and Bike Trail. Courtesy of Todd Kapke. 1. Experience the Local Flavor. You shouldn’t visit Austin without trying what we&apos;re most known for - barbecue and Tex-Mex. You may not have time to stand in line at Franklin but Cooper&apos;s, Lamberts and Iron Works are perfectly situated downtown near the Austin Convention Center. And don&apos;t forget to order chips and queso while you&apos;re out and about! We are also known for our abundance of food trucks. SouthBites Trailer Park, just south of the Convention Center, offers a great sampling of local food truck fare. 2. Capture our Iconic Street Art. There are many photo-friendly murals and public art pieces in Austin. Check out this list of some of our favorite spots and make time to explore the HOPE Outdoor Gallery in the Clarksville neighborhood. Then, share your pics with us using #TrueAustin! 3. Discover the Lonestar State. Texas has a rich and fascinating backstory. Why not take a quick walk up Congress Avenue to check out the Texas State Capitol (which offers free tours) or the Bullock Texas State History Museum? 4. Listen to Live Music. Here for SXSW Interactive or Film and want to experience what makes us the Live Music Capital of the World®? 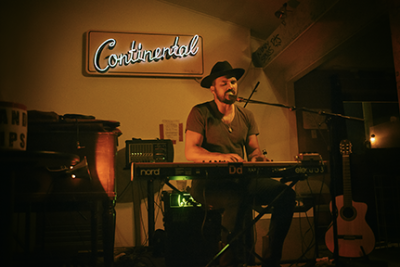 There will be many performances during the SXSW parties, but we recommend checking out one of Austin&apos;s iconic music venues. Favorites include the Continental Club, Elephant Room and the White Horse. 5. See the Bats. Have you heard about our urban bat population? Starting in spring and continuing through early fall, Austin welcomes nearly 1.5 million bats. The nocturnal creatures fly out from under the Congress Avenue Bridge at dusk and we recommend witnessing this phenomena. 6. Treat Yourself. Head to the 2nd Street District or South Congress Avenue for your shopping fix. Looking for Texas and Austin souvenirs? Our Visitor Center and Gift Shop (right behind the Convention Center at Fourth and Red River Streets) has fun merch for everyone back home. 7. Reset. Change up your morning routine and go for a walk or jog around the Lady Bird Lake Hike & Bike Trail. The trail is located just across Cesar Chavez from the Convention Center and downtown hotels and it&apos;s a great way to experience Austin&apos;s outdoors. Black Swan Yoga&apos;s Orchard studio, the official yoga studio of SXSW, is also providing daily Live Music Recovery Sessions at 10 a.m. and 12 p.m., free for badge holders and Black Swan members. Need more recommendations? Ask us in the comments or through our Twitter account, @VisitAustinTX.